Wounds need oxygen to heal properly. 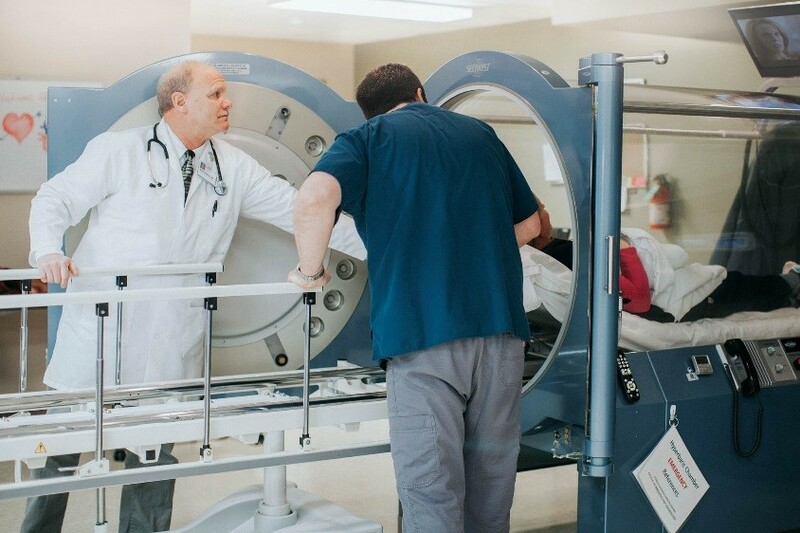 Hyperbaric oxygen therapy is an evidence-based treatment proven to help chronic wounds heal. Hyperbaric oxygen treatment saturates cells with healing oxygen when under compression. 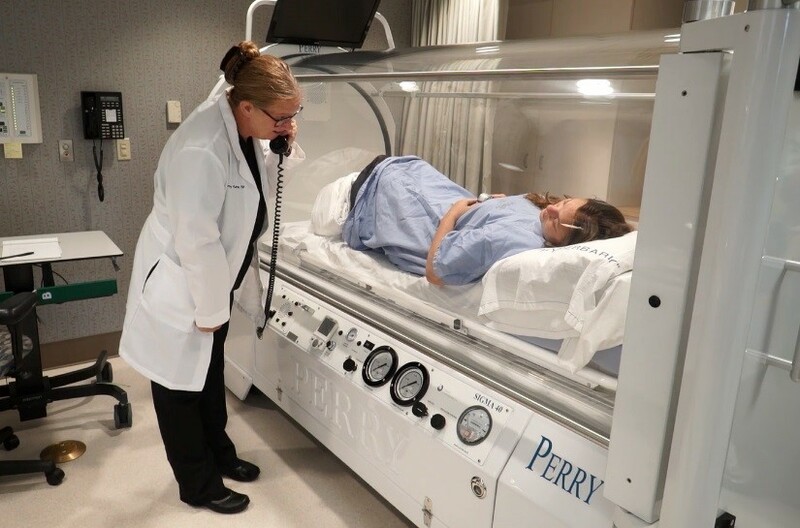 During daily sessions, a patient breathes 100 percent oxygen while being treated in a hyperbaric chamber kept at two or three times the atmospheric pressure. Oxygen is delivered as patients recline in a large, tube-like clear chamber. Patients can see and speak to caregivers at all times, and are free to read, nap, or watch TV as they receive oxygen therapy. In certain cases, hyperbaric oxygen therapy may help heal wounds that have not responded to other treatments. Only certain specific conditions qualify for hyperbaric oxygen treatment. A referral is required from a physician, physician assistant, or nurse practitioner. Breathing 100 percent oxygen under pressure allows more oxygen to dissolve in your body’s blood. More oxygen is then delivered by your blood to those areas that are not healing because of a lack of blood in the surrounding tissues. People who have a wound that is slow to heal or not healing – particularly people with diabetes – may benefit tremendously from this treatment. Also, someone with a compromised skin graft that has a questionable blood supply, or people with certain bone infections could benefit. A referral from a physician, physician assistant, or nurse practitioner is required for advanced would care services.